Originally posted at http://www.thememoryjogger.com.au/the-morning-run/ on December 4 2014. The 5am morning conference call, which I thought would go for 30 minutes, actually went for quite a bit longer than I thought it would. Nevertheless, I still had enough time to squeeze in a 5km run before heading into work. With a 9am international flight the next day there was not going to be any running tomorrow. I thought about looking for a new circuit, but I enjoyed the run from the day before so much I just made my way down to The Greens again and trotted around the track. Not quite as nice a day, but still a good little outing. Running in the morning is one of life’s joys that makes me feel alive and sets the tone for the whole day. Skip a run – and be ready for a day of regret and lethargy. If you’re not a runner, this might sound a little weird and even somewhat masochistic. An alarm clock screaming out at 5am (or earlier) saying it’s time to get up. Heading out into darkness in your running kit when most people are snuggled down in bed. 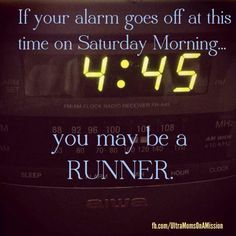 Btw, the earliest I have risen for a run is 2:30am – the Great Barrier Reef Ultra marathon – that was a long day! Don’t get me wrong – I’m still tired at that hour of the morning. My body and mind both work against my best intentions with a host of excuses as to why skipping a run would be ok. Little aches and pains appear from nowhere and my eyelids feel like they are being dragged down by lead weights. BUT – once I get up and start moving – the muscles start to warm up, my arthritic joints move more freely and before I know it I’m in the kitchen making an energy smoothie and thinking about where I will run. By the time I’m out the door I’ve got my running route planned and even wondering if I have enough time to increase the distance of my planned run and chastising myself for not getting up earlier! It doesn’t mean my legs don’t hurt when I start running and that I’m not gasping for air as I tackle the first few kilometres and/or hills. It doesn’t mean that I don’t shiver uncontrollably when the cold air hits me or that being drenched by rain doesn’t make feel uncomfortable, or the combination of the two doesn’t make my nose run and my fingers and toes numb. It doesn’t mean that I don’t sweat buckets when it is hot and/or humid and I most certainly get fatigued. The first couple of kilometres in my run are always tough – but I know I will feel better as I go, my body will warm up, my joints will loosen, endorphins will be released into my body and my senses will be charged. That’s why I do it. This entry was posted in Fight Dementia, Fitness, Fund Raising, Marathon Training, Running and tagged alzheimer's, alzheimer's australia, dementia, dubai, fight dementia, fitness, fundraising, Gold Coast Marathon, marathon, marathon des sables, morning, motivation, runners, running, sunrise, the memory jogger. Bookmark the permalink.